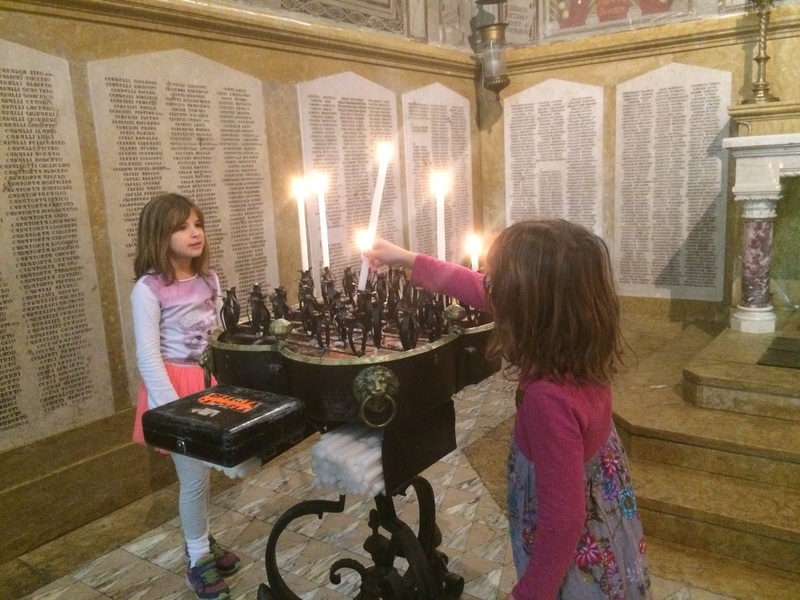 Our third week in Italy was low key and covered much different parts of the country than our first two weeks. 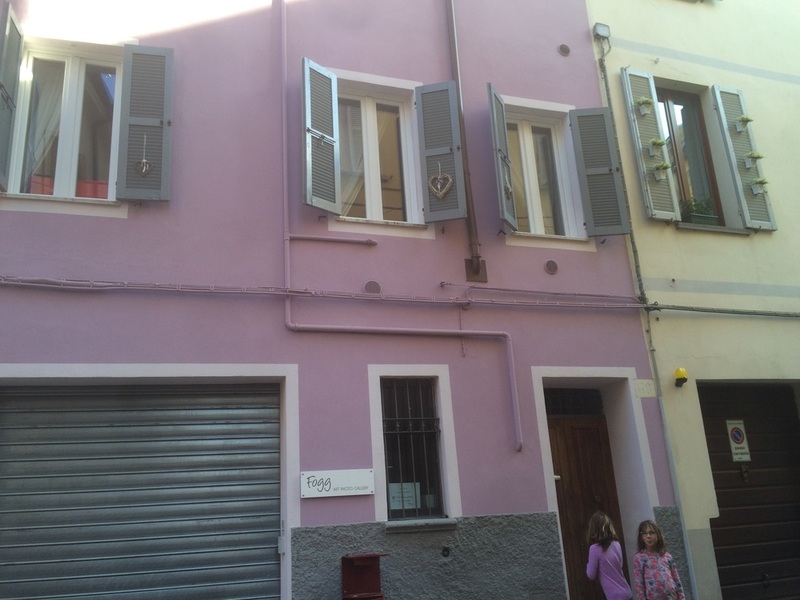 First, we went north to Parma, then south to Naples. 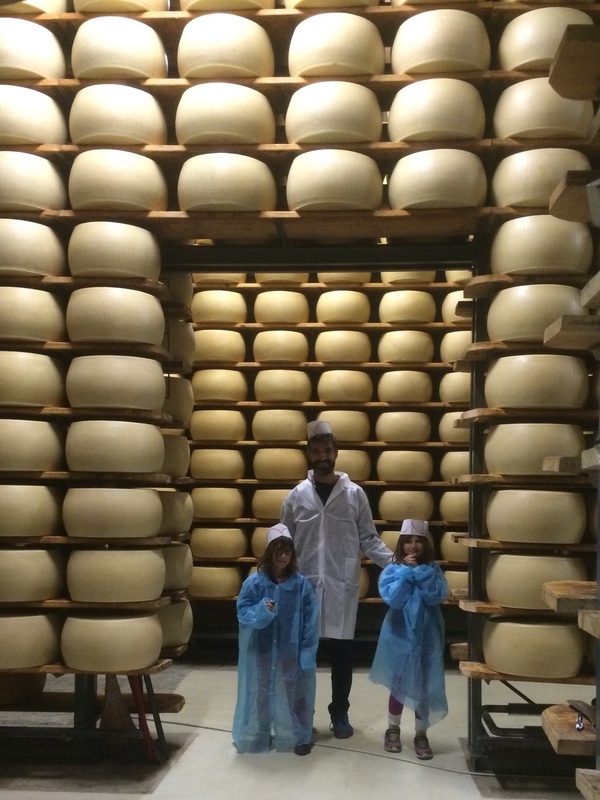 I thought it would be interesting for the girls to see where Parmigiano-Reggiano (Parmasean) cheese is made, that’s why we went to Parma. Parmigiano-Reggiano is a protected geographic indicator, meaning that only cheese made in this particular area of Italy can use the name Parmigiano-Reggiano. There’s no shortage of Parmigiano-Reggiano here! Parma has a population of just over 176,000 and is an every day Italian town, as opposed to a tourist town. It still has a historic center with a Duomo, as well as it’s share of art galleries, however; you could definitely tell you weren’t in Tuscany any more. 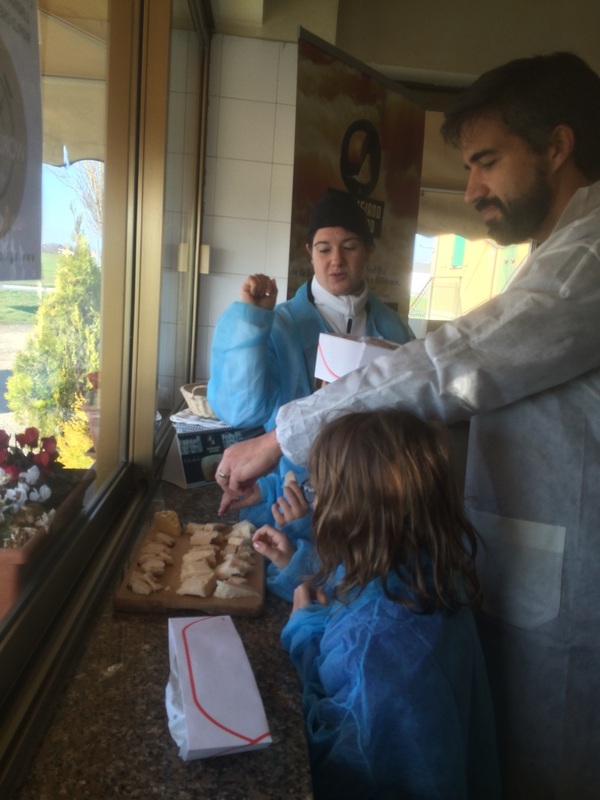 The tour of the cheese factory was interesting, though the smell didn’t agree with Amy, and to a lesser extent Hannah and I. I think their favorite part was sampling the cheese after! 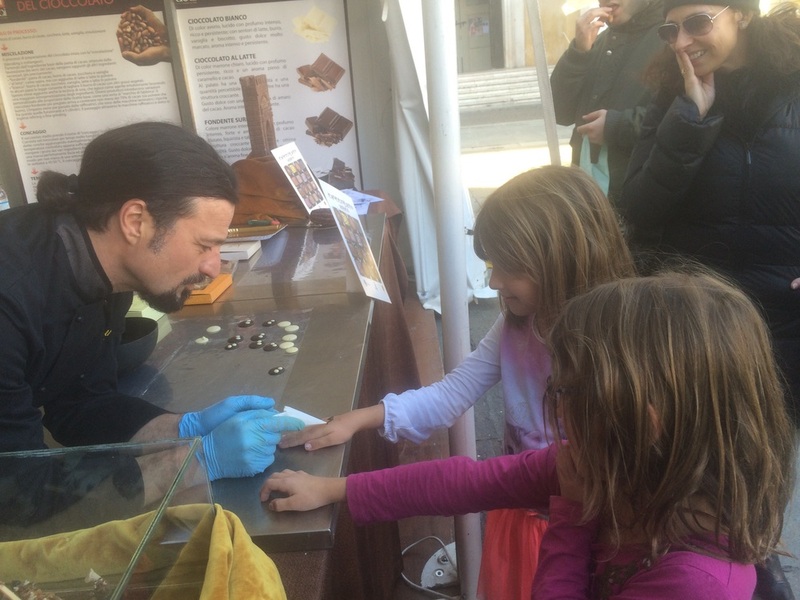 On Saturday, the city had a market, and one square in particular was filled with vendors selling chocolate, chocolate and more chocolate! The girls about to get a chocolate tattoo. 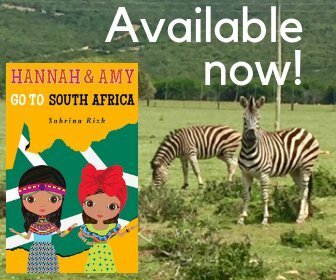 Hannah got an elephant, Amy a cat. 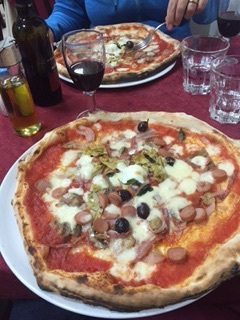 Another reason to visit Parma is for the food. 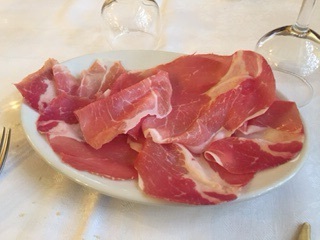 One Parma specialty is fried bread, with butter and culatello (similar to prosciutto, but a better cut). Another one is large ravioli stuffed with ricotta and either chard (sometimes substituted with spinach), pumpkin or potatoes. Gnocchi is also big there. The meals are very heavy though, so we found just eating out once a day was more than enough! 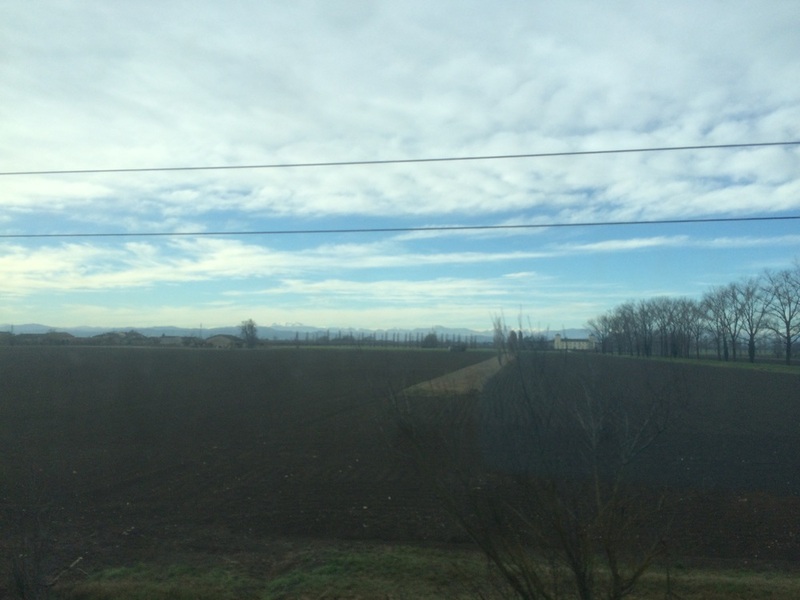 After four nights in Parma, we took the train to Naples, though it was like taking the train to a whole other country! 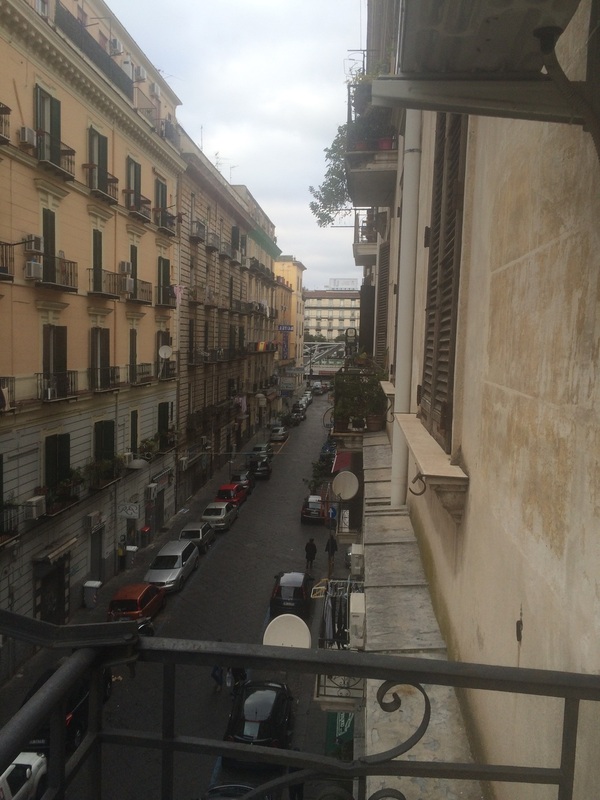 We traveled through the beautiful countryside and arrived in working-class Naples. This is one place that has definitely not been gentrified! The people here are grittier and more animated. Unfortunately, graffiti (not the street art variety) is widespread throughout the city and surrounding areas, much more so than in Rome. 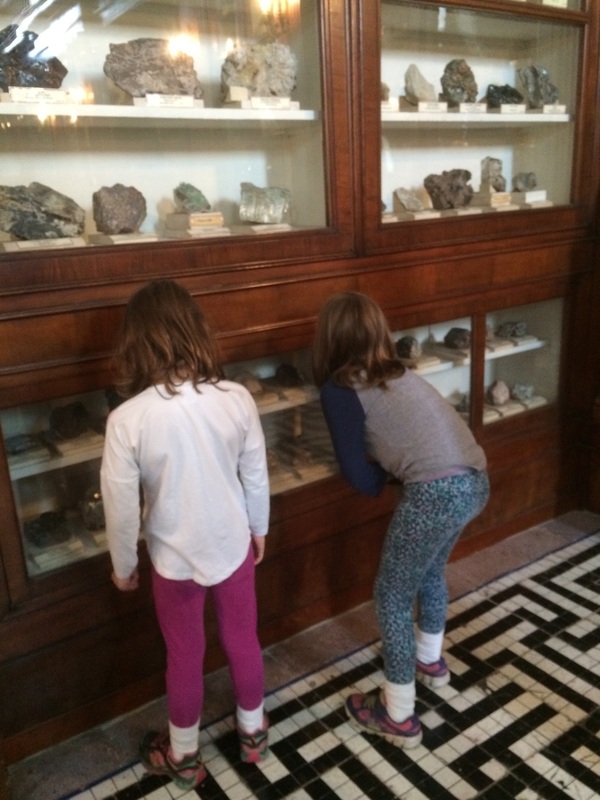 The girls wanted to go to the Science Museum, but it was closed on Mondays, so that’s how we ended up visiting four small museums at the University of Naples (Minerals, Physics, Zoology and Anthropology). 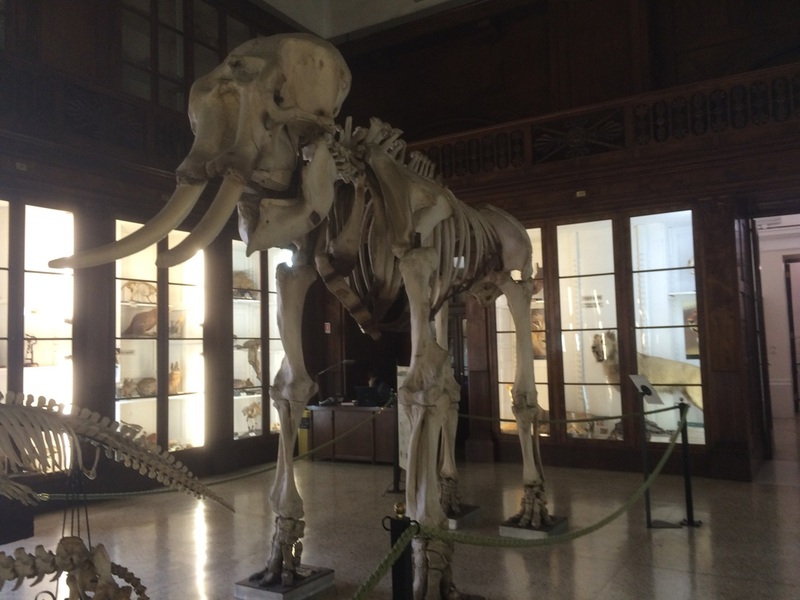 The Museums were fascinating, and there were quite a number of samples/specimens in the Mineral and Zoology Museums, in particular. I’m glad we stumbled upon them. 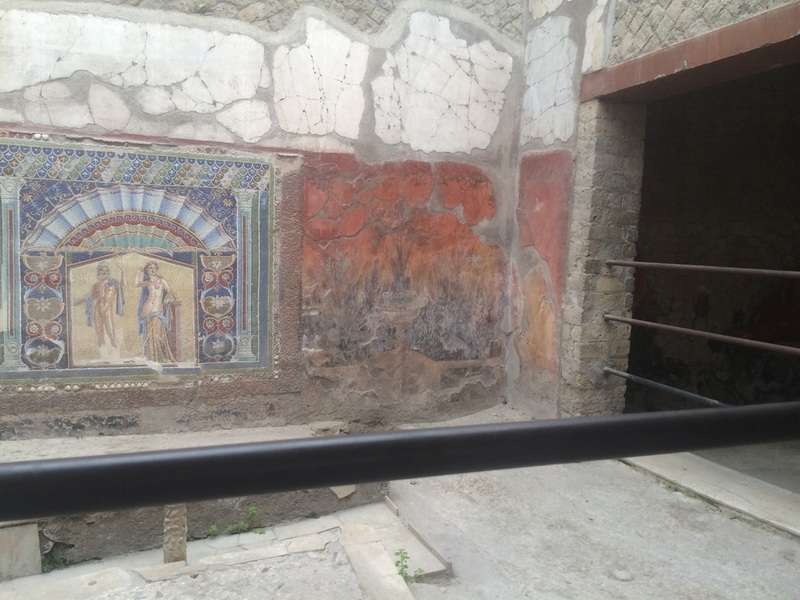 Today we took the local metro to the Herculaneum Archaeological Area in Ercolano. Quite a different experience from the regional trains! 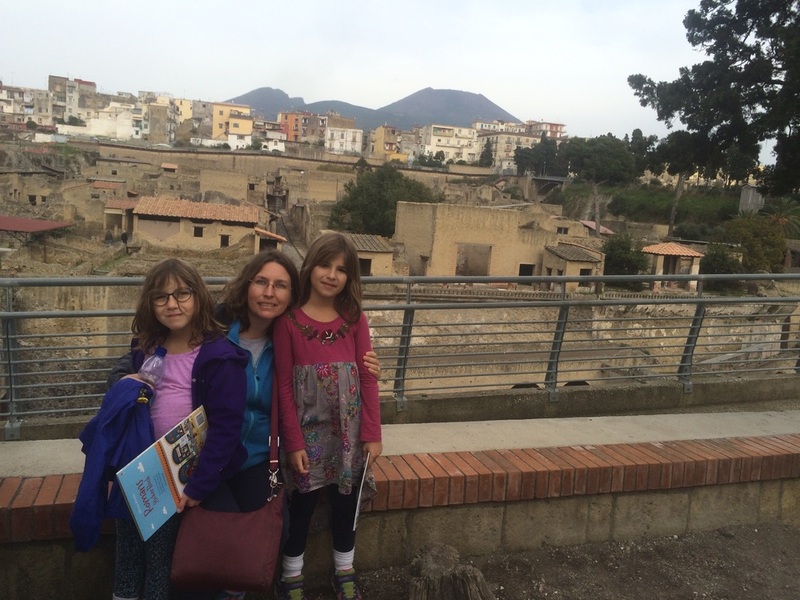 Herculaneum is a smaller, more preserved site than Pompeii, and one I didn’t see on my last visit to Italy. 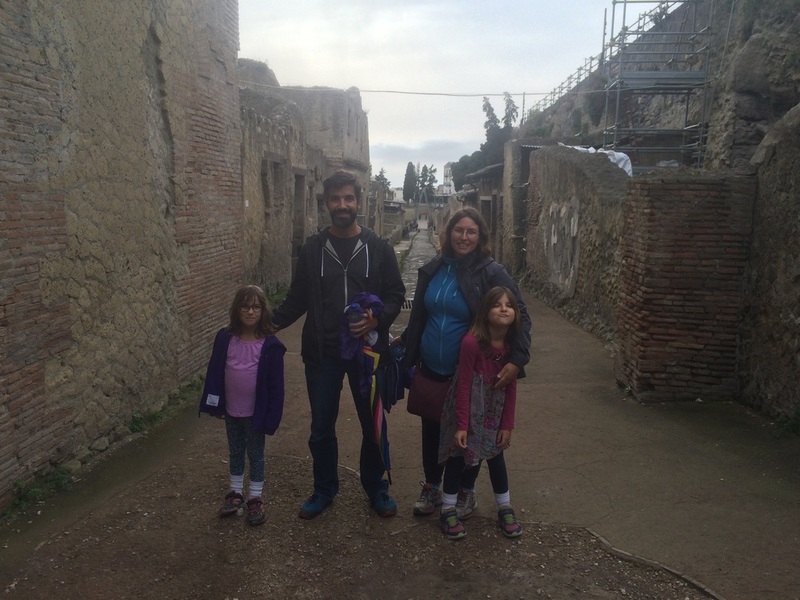 Most of the site is still buried under the modern city of Ercolano, though. 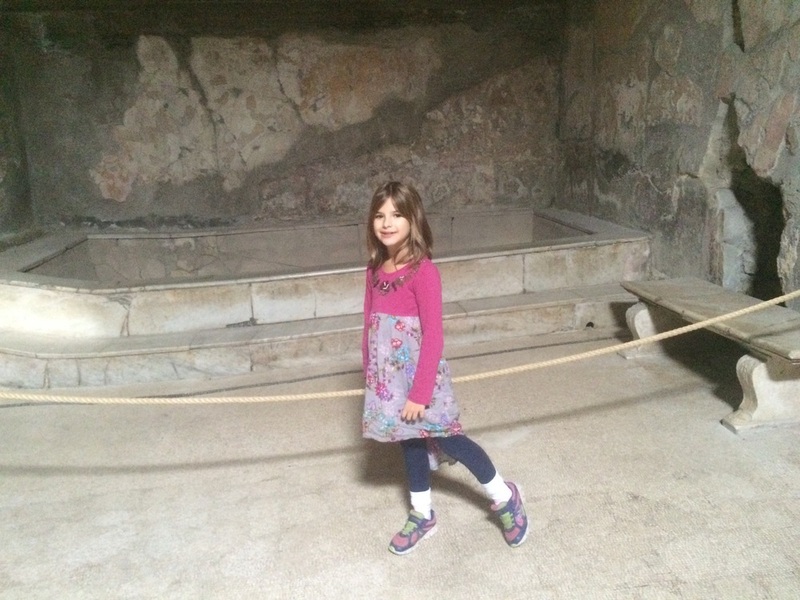 The girls and I were most impressed with the Roman bath, and the massage room that preceded it! You can see the modern city on top of where the rest of Herculaneum is. That’s Mount Vesuvius in the background. Hannah said she wants a bathtub as big as this one! For our last week, we are going to see an Opera, and we plan to go to the Science Museum, the Naples Archaeological Museum, and to visit Pompeii and possibly Sorrento. 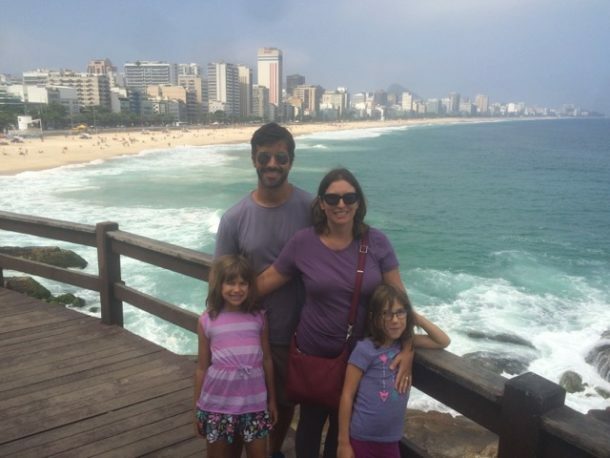 Ugh, not another family picture! We’re all looking forward to our return to California, but still can’t believe the trip is almost over! I’m going to have to pick your brains about Italy when you get back! Brent and I are going at the end of April 🙂 We have one day in Naples and I’m trying to decide between Pompeii and Herculaneum. Let me know what you thought of each! Are you going to stop in Toronto on your way home after your amazing trip? Hi Gen, Yay that you’re going to Italy! I will definitely let you know my recommendation after we go to Pompeii. 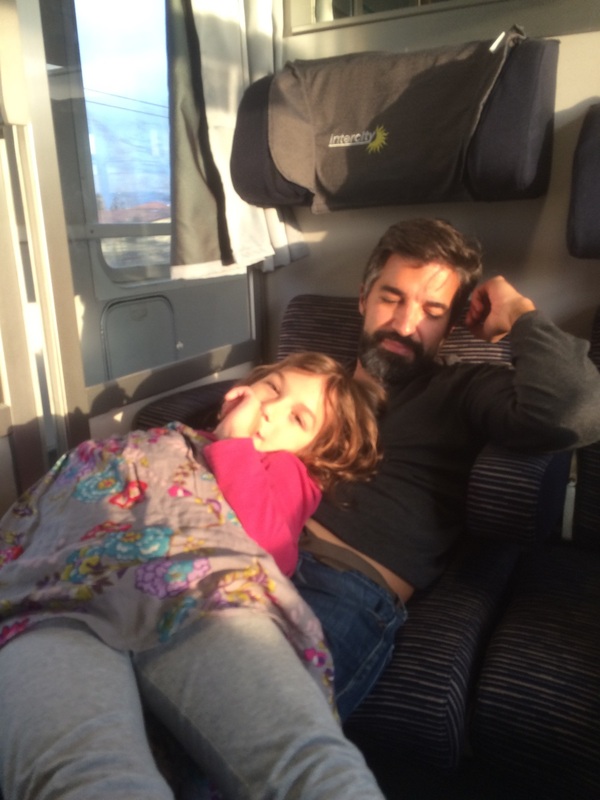 Where else in Italy are you going? Unfortunately, we’re not going through Toronto on the way back…that would have been good.